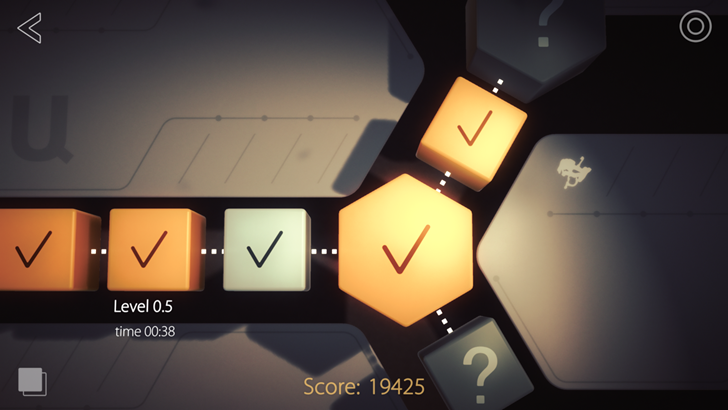 Simple, straightforward puzzle games are du jour on mobile platforms, but that doesn't mean they can't be visually impressive. 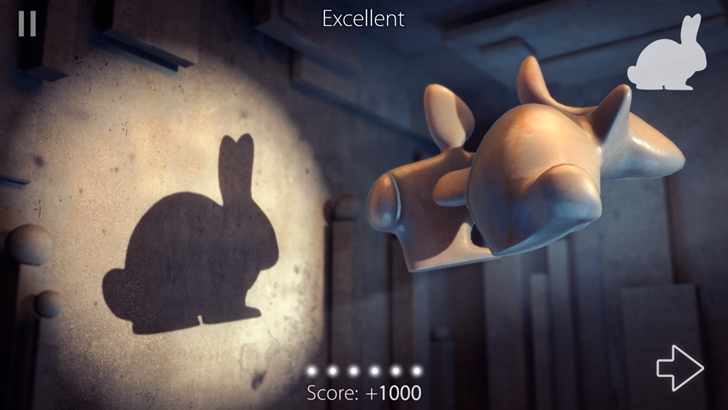 Shadowmatic from developer Triada Studios is a great example. This puzzler uses basic principles of light and spatial arrangement as elements of its brain-teasers, challenging players to correctly align floating objects and create perfect silhouettes. 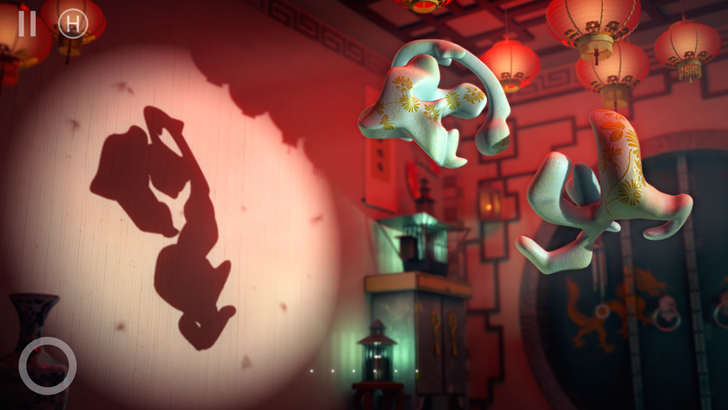 The game is also visually stunning, using its 3D lighting effects and an essential element of the gameplay. 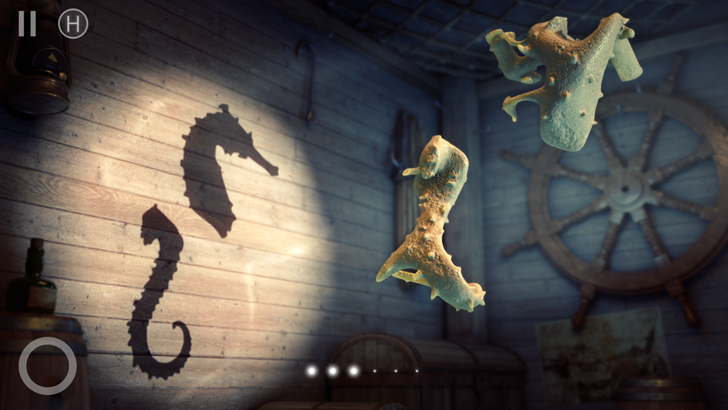 Shadowmatic debuted on iOS a little more than two years ago, which is a bit disappointing. But developer Triada isn't a conventional game studio - the company's 3D graphics work is mostly shown in commercials and custom video projects. 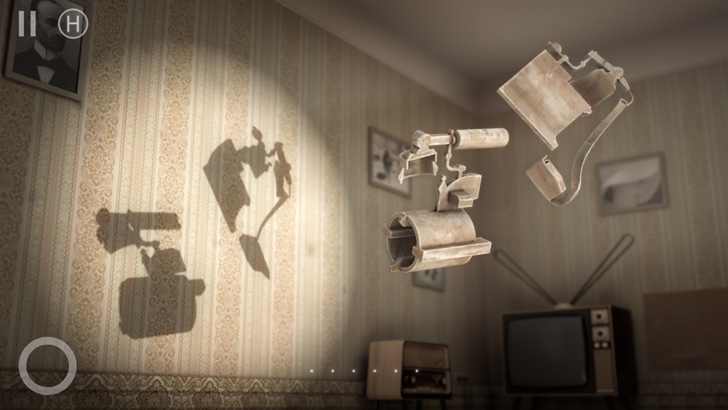 Even so, their visual prowess is on display in the game, as the subtle curves of light around the free-spinning objects create shifting shadows that the player needs to solve. 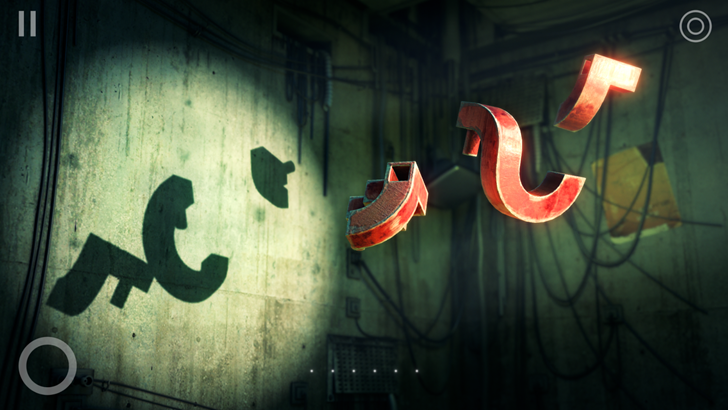 We've seen similar silhouette-based puzzles before, but the 3D shapes in Shadowmatic add some structural complexity, especially when levels use multiple spinning forms for the shadow solutions. The game is a free download, but to access the full 100+ levels and their secondary objectives, you'll need to spend $3 on a single in-app purchase for the full version unlock. That seems more than fair. 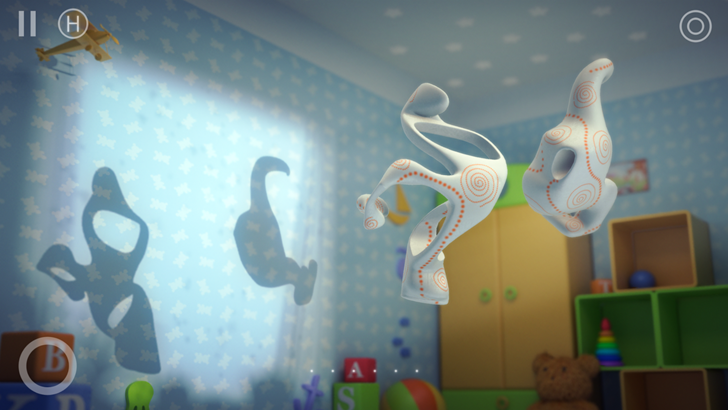 Shadowmatic works on Android 4.2 or later, but older Android phones and tablets might have a hard time running the 3D visuals smoothly.